Melatonin naturally regulates a person’s sleep-wake cycle. When sleep patterns are disturbed by traveling or other circumstances, falling and staying asleep can be difficult. 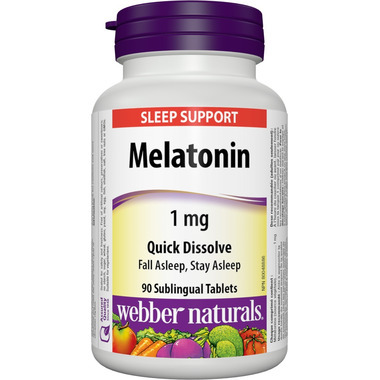 Webber Naturals Quick Dissolve Melatonin helps you fall asleep and stay asleep.Contains sublingual tablets. I used to wake up several times during the night due to anxiety, I am finally getting a good night's sleep. This product really helped me fall asleep and stay asleep!